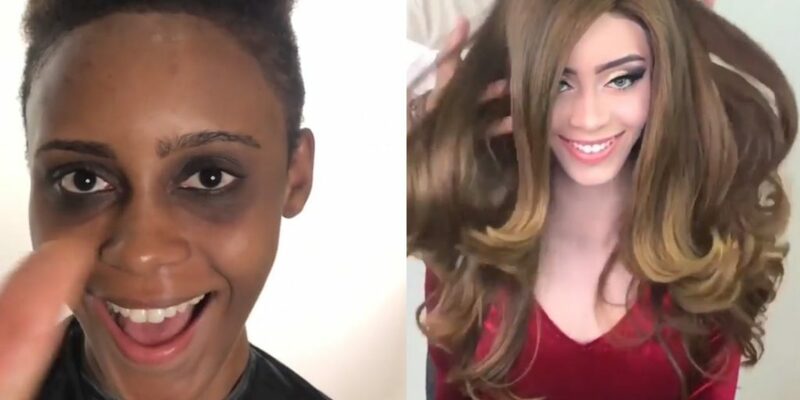 This Karachi Based Makeup Artist Did Something Utterly Disgusting And People Are On Fire! In the sub-continent, we have a weird and illogical obsession with white skin. People in our region have a beautiful skin color that all the other people of different races crave for. The people in the have something about the tan skin and people who have tan skin by birth are in complete disagreement with what they have. Well, either way, the obsession with any skin color by any nation and race is never good. Because imagine a person being born by a certain skin color and then later he’s told that he’s not good with what he’s been bestowed with by no fault of there own; he/she will spend all the life-changing what’s not in there hand. So, these people who are told that they are wrong and unacceptable, always live a life that is very different from what they actually are. But some of them are stubborn enough to face all the societal hurdles and stand with who they are, and this takes an enormous amount for courage. While all this is happening; this Karachi based make up artist named “Kashee” tried advertising his makeup skill in a very wrong way. As the ad was aired people got super angry on him. Yes, this what he did! Not just on twitter but even on Instagram people were enraged! “What Kashee’s Salon did to this girl was not okay!!! Every skin color is beautiful, not just white skin! This girl has so much natural beauty and such an amazing complexion! Did you see this video before?! What is his point? Is being fair is beautiful? Or he only likes his customer to be of certain color? He has a massive following and after this great success in makeup, he even opened his own line of clothing. But what would happen if such influential people who many people look up start behaving this way? Maybe he will give an apology as he has removed these videos from his official page. This Girl From Chitral Has A Very Important Message For Tourists About ‘Consent’ Of Women And Their Privacy! Nouman Khan ‘The Legend’ Fought Khan Baba ‘The Hulk’ In Pakistan’s Version Of WWE And It Is A Cringe-Fest!